'The Night Of' Digital Edition Giveaway - Are You Screening? The Night Of, the acclaimed hit from HBO is available today on Digital HD, and we’ve got a chance for you to win a download code! The show, based on the BBC series Criminal Justice, took over the summer with its unique look at the events driving the plot and the criminal justice system. It seemed like critics couldn’t line up to sing its praises quickly enough, with John Turturro especially getting a lot of attention. The series is available everywhere today on Digital HD (iTunes, Google Play, Amazon Instant Video, Vudu, Xbox Video, Best Buy’s Cinema Now, Nook, Playstation.Video and Verizon Fios) and hits on Blu-Ray and DVD on October 18th. Enter below and get your hands on a copy of this one. “The best TV you’ll see this summer” (Vanity Fair) will be available to own this fall when The Night Of, the acclaimed HBO limited series that captivated TV audiences this summer, comes to Digital HD on September 26, 2016, and to DVD and Blu-ray on October 18, 2016. Starring John Turturro in “a mind-blowing performance” (Wall Street Journal) and the “extraordinary” (Boston Globe) Riz Ahmed, The Night Of is “an anthem to television ’s unique power to turn a series of understated performances into sustained magnificence” (Los Angeles Times). The series, which delves into the intricacies of a complex New York City murder case with cultural and political overtones, was a critical and ratings sensation on HBO this summer, with critics heralding the show as “exquisite… richly detailed” (The New York Times), “mesmerizing” (Entertainment Weekly) and “as complicated and layered as life itself” (TV Guide). 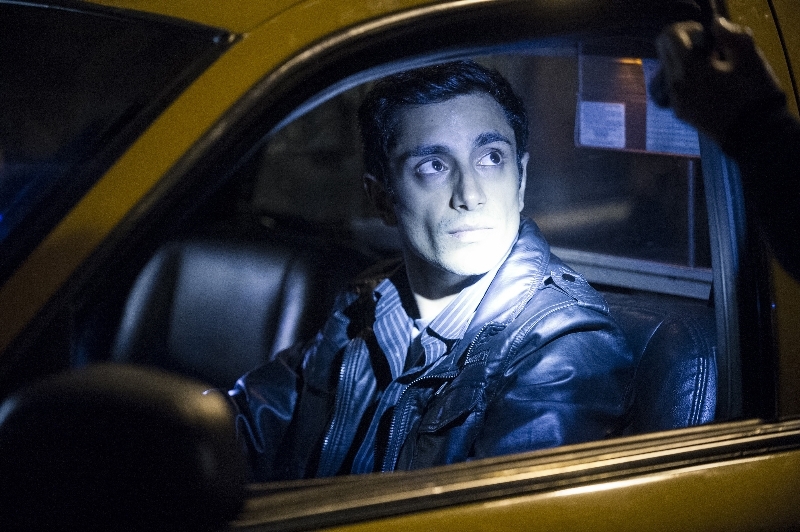 In The Night Of, Pakistani-American college student Nasir “Naz” Khan, who lives with his parents in Queens, NY, takes his father’s taxi to go to a party in Manhattan. But what starts as a perfect night for Naz becomes a nightmare when he’s arrested for murder. The series examines the police investigation, the legal proceedings, the criminal justice system and Rikers Island, where the accused await trial. The Night Of is created and executive produced by Steven Zaillian (O scar® winner, Best Adapted Screenplay, Schindler’s List) and Richard Price (The Wire, Oscar® nominee, Best Adapted Screenplay, The Color of Money), based on the BBC Series Criminal Justice, created by Peter Moffat. Other executive producers are Jane Tranter, James Gandolfini and Peter Moffat; co-executive produced by Garrett Basch, Nancy Sanders and Mark Armstrong. The ensemble cast includes Michael Kenneth Williams, Bill Camp, Jeannie Berlin, Poorna Jagannathan, Payman Maadi, Glenne Headly, Amara Karan, Sofia Black-D’Elia, Paul Sparks, Ben Shenkman, Afton Williamson, Paulo Costanzo, Ned Eisenberg, Mohammad Bakri, Nabil Elouahabi, Ashley Thomas, Glenn Fleshler, and Chip Zien.